Jackpot Jones Casino, a new casino launched in 2018 and owned by the renowned Nektan Limited, with sister sites Monster Casino and Slots Devil (plus many more!) also under their wing. Though owned by Nektan, the character behind the site’s swashbuckler theme is a chap called Cap’n Chris Jones, a generous ‘pirate’ originating from Rhyl, North Wales who exchanged his swashbuckling ways for a step into the famous ‘Madchester’ scene – in 1990’s Manchester, of course. Maintaining his generous, hospitable and charming ways, Jones’ following grew and grew, and he ultimately became known as Jackpot Jones. And what better product to create with his time, crew and treasures? An online casino of course! And so Jackpot Jones Casino was born, with Jackpot Jones’ generosity shining through amongst an abundance of top promotions, exciting games and, of course, outstanding jackpots. All aboard the ship of Jackpot Jones; join his pirate crew and head out to sea on your best chance of uncovering a life-changing chest of golden treasure. This is what Jackpot Jones Casino is all about of course, and any jackpot-loving pirate fans out there are guaranteed to find themselves in their element browsing this charming site. It is very much slots-focused, and there is an impressive range of slots games that can be accessed from a variety of devices. Promotions and bonuses are a definite strength, and Jackpot Jones offers pretty top-notch customer support too. If you have a preference for live casino or table games, however, the selection is very limited in this area so an alternative gaming platform would be a better choice for you. With a name like Jackpot Jones, we have high expectations for progressive jackpots. We weren’t disappointed… there is an array of gigantic jackpots on offer amongst a great choice of jackpot-linked slots. Popular titles such as Cleopatra and Siberian Storm could expose some dazzling treasure for you, or perhaps try Paws of Fury or Golden Goddess. There is a wide variety of themes, but if you are really getting into this pirate business, why not stick with the topic and keep up the pirate adventure? Jackpot Jones’ favourites are Fishin’ Frenzy, Caribbean Wild, Captain Quid’s Treasure Chest, Wild Seas and Treasure Mine. We have already touched upon casino and table games briefly, and sadly there isn’t a great deal to report. Jackpot Jones is all about the slots and the jackpots which are fantastic, but there could be a more generous offering of alternative games. Members do, however, have access to Roulette and Blackjack, but there isn’t a live dealer offering and players will struggle to find alternative games such as scratch cards or Keno. 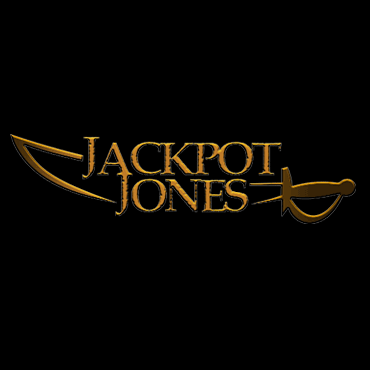 Jackpot Jones provides a good range of payment options to suit a variety of preferences, and the casino works in partnership with a global leader in online payments who proves the card transactions, resulting in a secure and strong payment system. Players have the option of paying by credit cards and debit cards including Visa and Mastercard, as well as popular payment methods Neteller, Skrill, Boku, PaySafeCard and PayPal. These options provide plenty of scope for those who wish not to provide their bank details during payment. Withdrawals are super easy, taking around 3-5 working days generally and with a minimum withdrawal amount of £10 and maximum of £2,000. New shipmates are greeted with a generous number of free spins within their welcome package from Cap’n Jones. Over your initial three deposits, a total of 100 free spins can be claimed for use on award-winning NetEnt slot, Gonzo’s Quest. On your first deposit, you will receive 10 free spins. On your second deposit, deposit between £10 and £24 and receive a bonus of 10 free spins. Or, deposit between £25 and £49 for a bonus of 25 spins, or deposit £50 or over for a whopping 50 free spins. Finally, on your 3rd deposit, between £10 and £24 will get you 10 free spins, £25 – £39 will get you 25 free spins or £40 or more will award you 40 free spins. That’s a potential 100 free spins over your first three deposits which could really help with any choppy waters encountered as you sail off on your Jackpot Jones voyage! Jackpot Jones likes to continue giving beyond the welcome period. Therefore, each week players can get 10% of their losses back in cash, up to £250, if they have deposited and lost at least £100 during the week. Furthermore, if you’re a loyal matey to Jackpot Jones, you’ll be treated like royalty. Join the pirate ship VIPs and receive a welcome cash reward, dedicated account management, enhanced promotions, birthday bonuses, VIP hospitality and more. There are 4 VIP levels to climb: silver, gold, VIP Premier and VIP Elite. If you are faced with any difficulty upon your pirate ship, fear not – Jackpot Jones’ customer service crew are always ready and willing to assist. First and foremost, there is a very handy FAQ section of the website which answers most general questions. Should you still need to speak to the crew, you can email, telephone or use live chat. Emails should be responded to within 24 hours, but if the nature of the query is more pressing, you can get an instant response via telephone or live chat. Our only gripe is that this support isn’t available 24/7, but rather from 8am until midnight daily. The availability isn’t bad by any stretch of the imagination, but many of Jackpot Jones competitors now offer 24/7 support. This online casino certainly sets the scene with a cheerfully designed pirate-themed website and entertaining backstory. The site is effectively designed with neatly designed and categorised games that can be scrolled through and accessed with ease, whether you’re playing on mobile, desktop or tablet. Links are clear and load with high speed, and it is incredibly easy to locate specific games of which are mostly slots, making this a good choice for treasure-hunting slot demons who love a playful theme and user-friendly website.